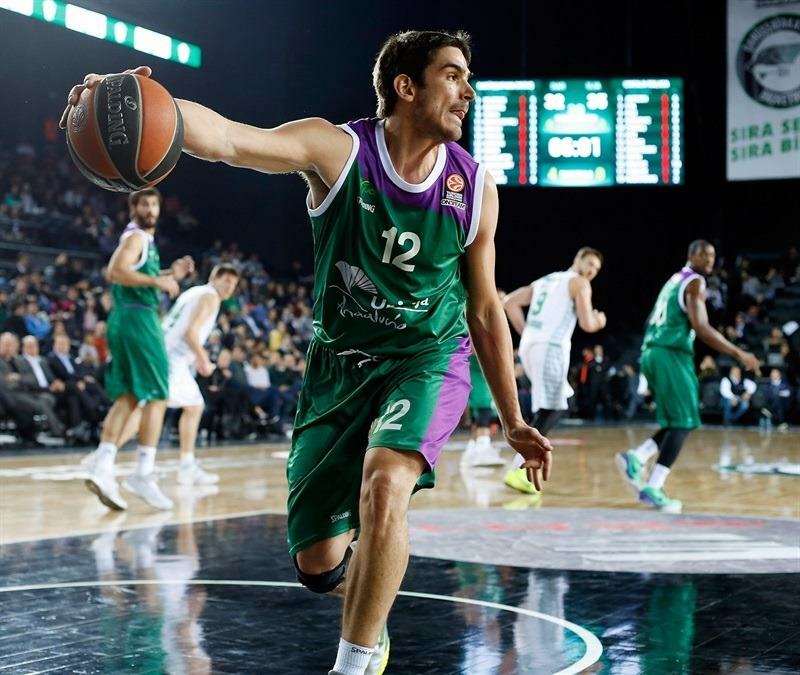 Darussafaka Dogus Istanbul moved within one victory of a trip to the Top 16 with two games to go when it beat Unicaja Malaga 63-57 at Volkswagen Arena on Friday night. 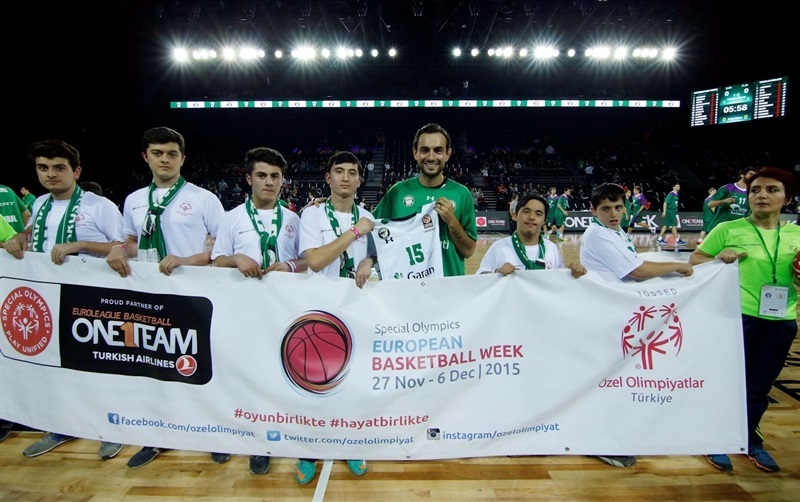 Milko Bjelica scored 9 in a 14-0 fourth-quarter run as the hosts took charge late and held. 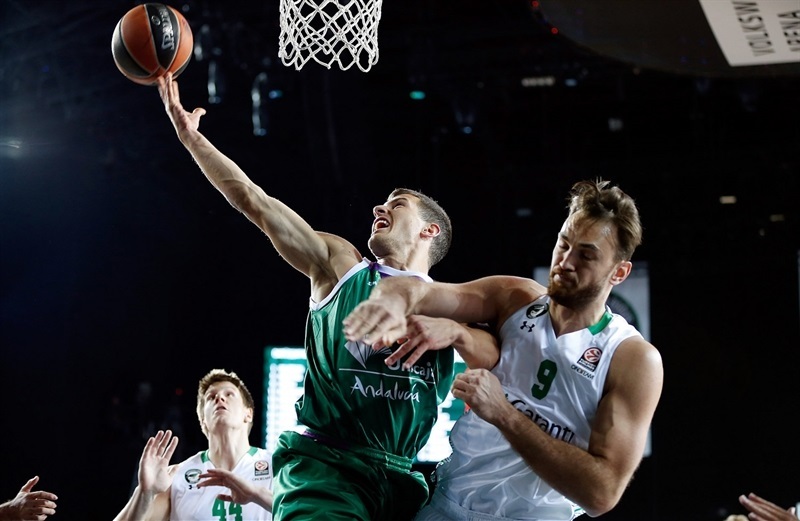 The result lifted Darussafaka to 4-4 and fourth place in Group D, while Unicaja fell to 6-2 and second place. 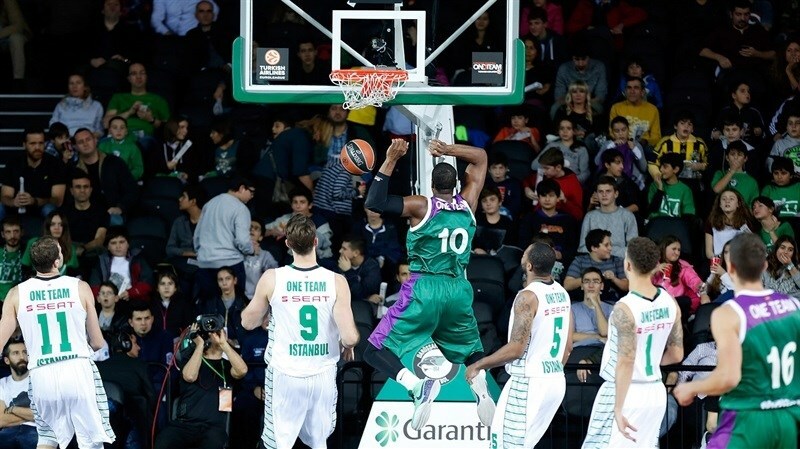 Reggie Redding paced the winners with 19 points, while Bjelica finished with 18 and Semih Erden added 9 points and 6 rebounds. Redding and Jamon Gordon each had 4 steals in helping force Unicaja into 24 turnovers. Nemanja Nedovic led the visitors with 13 points, Edwin Jackson added 11 and Will Thomas posted 10 points and 7 rebounds in defeat. Nedovic opened the scoring with a three-pointer for the visitors. Manuchar Markoishvili drove and dumped a pass to Erden for a slam. Reggie Redding’s layup in transition gave Darussafaka its first lead, 4-3. Nedovic took charge with a layup and an assist to Fran Vazquez for a jumper. Scottie Wilbekin netted a floater off the glass, by Edwin Jackson responded with a jumper. Luke Harangody’s three-pointer evened the score at 9-9. Jackson’s layup was met by Erden’s lay-in. Nedovic drained a foul-line jumper, but it was tied again after Erden’s tip-in made it 13-13. The hosts regained the lead on a Redding jumper, but Thomas answered with a tip-in. Wilbekin’s catch-and-shoot and Erden’s alley-oop slam from Gordon’s pass gave the hosts a 20-15 lead after 10 minutes. Neither team could get the ball in the hoop for the first two minutes of the quarter. Unicaja broke through with back-to-back threes by Carlos Suarez and Jamar Smith. Bjelica dunked to end a nearly four-minute scoring drought for the hosts. 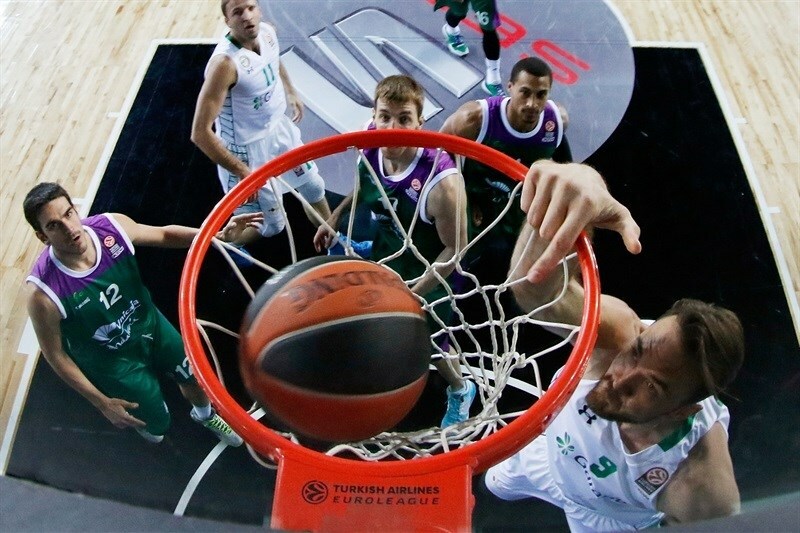 Unicaja missed its next 5 shots, but Darussafaka only went ahead 25-21 on a Bjelica basket. A Dani Diez triple pulled Unicaja back within 1. 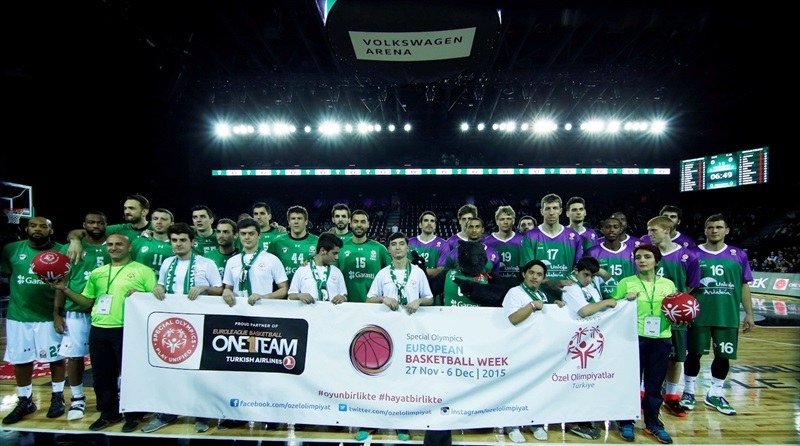 Bjelica remained a force with the Euroleague Fantasy Challenge Special – offensive rebound, layup, foul drawn and free throw made – to put the hosts up 28-24. However Vazquez and Mindaugas Kuzminskas scored on consecutive possessions to even the score. Redding’s steal and eventual layup gave Darussafaka a 30-28 halftime lead. Jackson’s short jumper and Nedovic’s great assist to Thomas for a fast break slam put the visitors ahead. Harangody ran the give-and-go with Markoshvili on the break to even the score at 32-32. Nedovic took charge with the next 6 points, including a reverse layup in traffic and a deep three-pointer. Gordon rescued Darussafaka with a pull-up jumper before Harangody drilled a three from the corner. 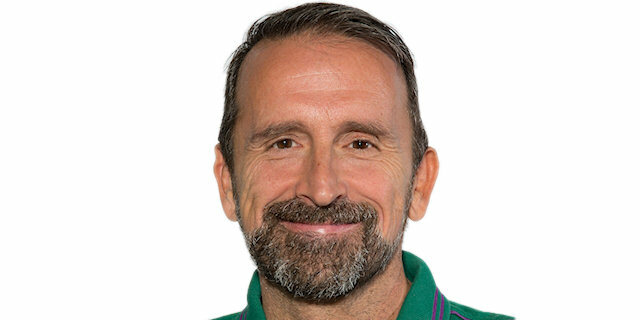 Thomas kept Unicaja in control with a baseline jumper and Jackson and Thomas added free throws to push the lead to 37-44. 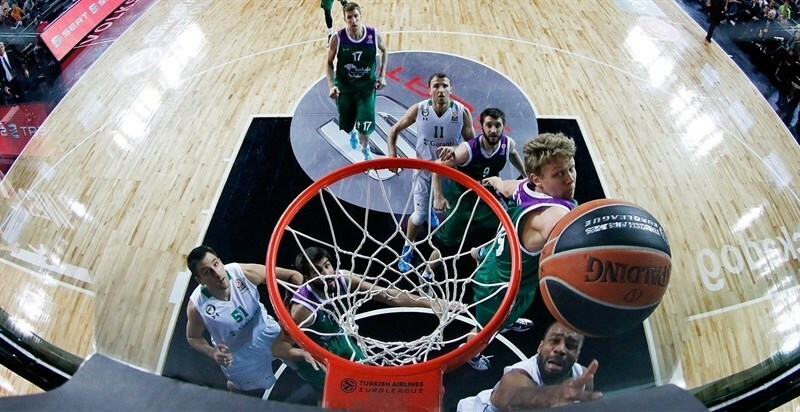 Redding responded with a three, but Kuzminskas scored on the offensive glass kept the visitors in charge. Another Redding three cut the deficit to 3. Thomas’s free throws were matched by Bjelica’s layup to make it 45-48 at the end of the quarter. Wilbekin scored an acrobatic layup on the break and Redding drove through the Unicaja defense for a layup and a Darussafaka lead. Alberto Diaz answered with a triple before Wilbekin’s great pass led Redding to a fast break layup and foul. Bjelica scored again inside for a 54-51 advantage. His triple with 5:30 on the clock brought the crowd to its feet and he followed it with a turnaround jumper to extend the run. Redding’s free throws made it a 10-point game. Bjelica added a mid-range jumper to cap a 14-0 run in which he scored 9 to lead 63-51. 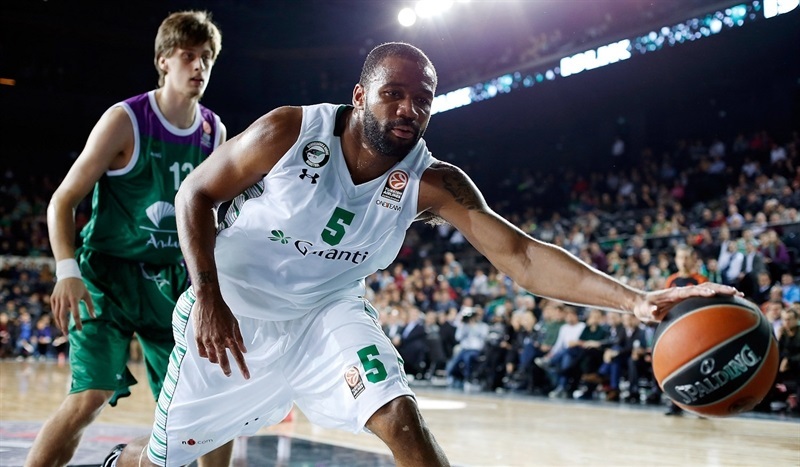 Jackson ended a nearly six-minute scoring drought for Unicaja with a three-pointer. Teenager Kenan Karahodzic drilled a three with just a minute to go to make it a 6-point game. 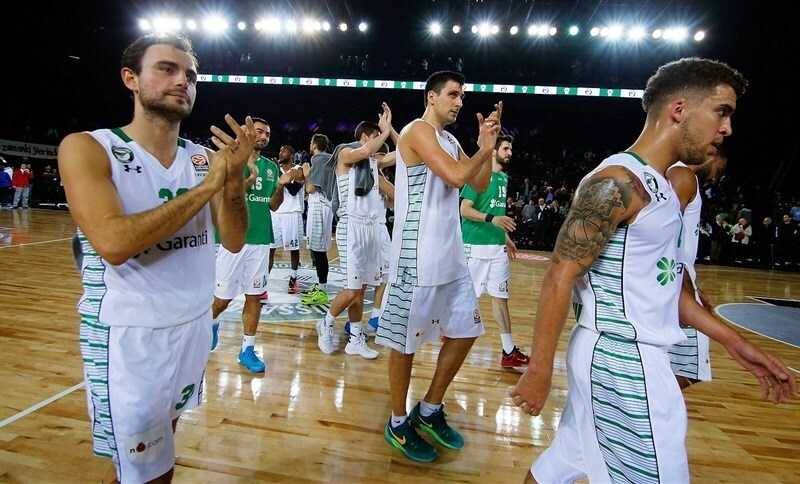 But another Unicaja turnover sealed the hosts’ fate. 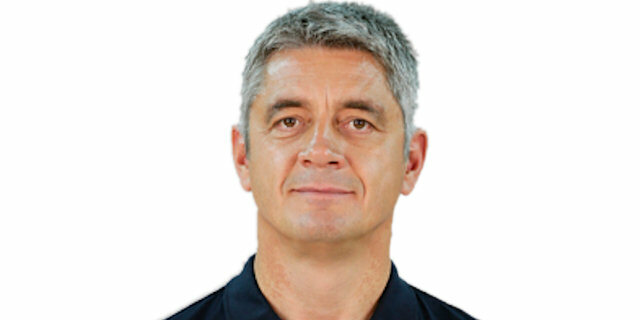 "We played against a very good team; they are guaranteed to go to the Top 16. We were a little bit under pressure. We had a lot of open shots that we missed in the first half and we missed a lot of those in the second. We fought and we won and that’s an important thing." "We had a bad game - under bad circunstances due to our absences, but a bad game. Winning two quarters is never enough against an opponent like this, with such a deep bench. I think we competed and even did better than Darussafaka in some aspects of the game but our 24 turnovers made it impossible for us to win tonight. We had 11 of those 24 turnovers in the fourth quarter. We didn't shoot free throws and just once from two-point range in the fourth quarter. It is impossible to win with those numbers." 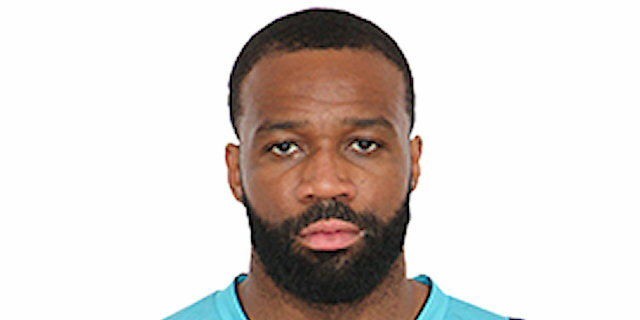 "We lost three in a row. 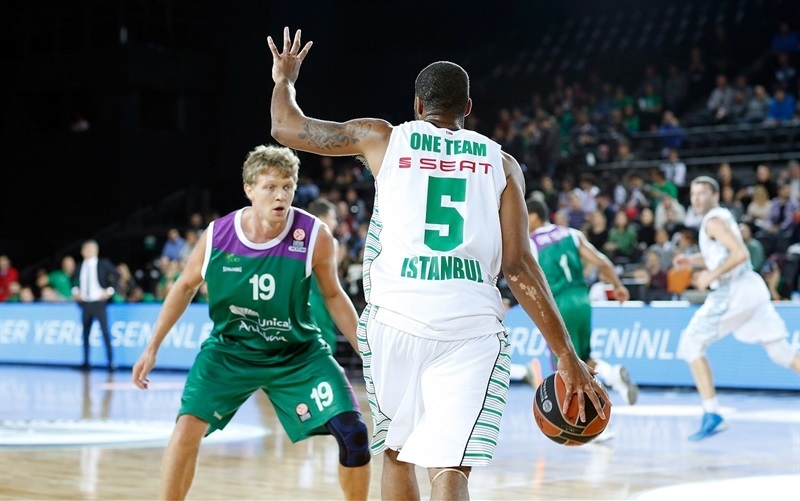 We knew this was a big win for us is we wanted to move on to the next round in the Euroleague. So we were ready to play. We had a long week of preparation and I think that helped us out. This is our first win here in this gym, so hopefully it broke the ice. If it comes down to the last week here against Maccabi, I’m confident we can get the win. "